Filipinos are utterly in love with food, whether it’s native, American, Chinese, Korean, Japanese, or even European. Without a doubt, the Philippines is a melting pot of various cultures and traditions. That’s why we’ve incorporated our preferred taste to complement a range of recipes from across the globe! This is also why we post more pictures of food on social networking sites above anything else! Is it appropriate to call ourselves obsessed with food? I think we are! And for good reason. 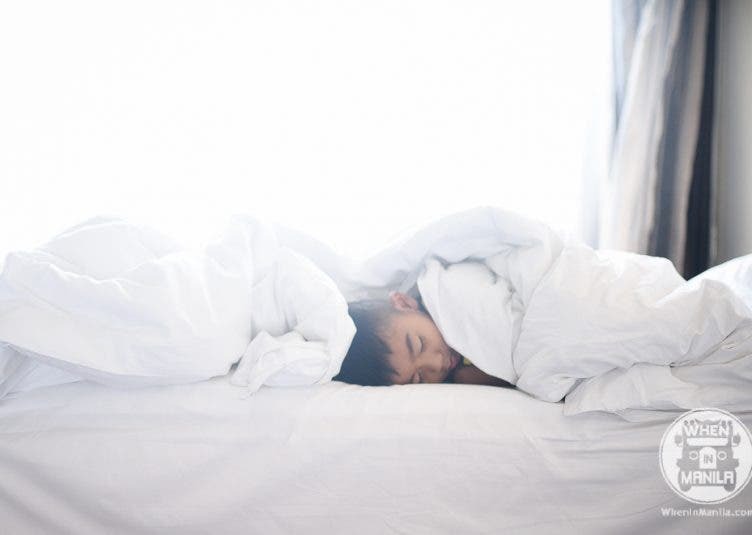 We never let occasions pass without preparing anything on that day. We try out new recipes and consider it as a tradition to have a feast; to show how grateful we are for the blessings we were granted upon. Filipinos, indeed, are appreciative and blessed. Haven’t completed your Noche Buena menu list? Maybe this set will help you complete your desired menu! Pork is definitely one of the well-known heroes during Noche Buenas and special events. 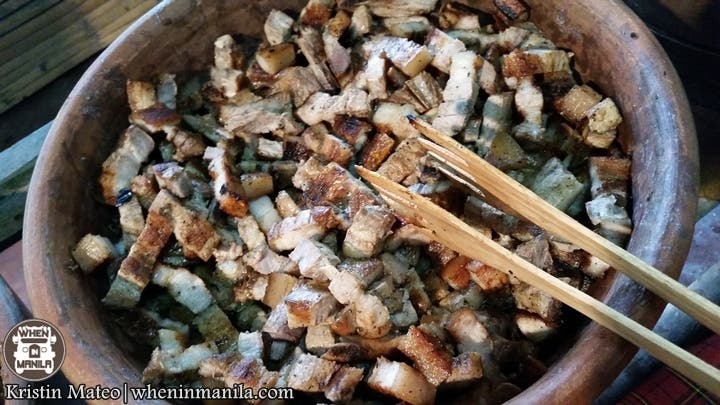 The Grilled Pork Belly or Inihaw na Liempo needs no introduction in every Filipino household. This is also one of the main courses in a boodle fight! It is kind of easy to grill pork since you just need some space, patience, and coal, but the marinading process is something you should take seriously because the marination of the pork belly will determine the positive or negative comments on the final product! Normally, they soak the pork in soy sauce and lemon. They also add salt, ground black pepper, and garlic to make it even more appetizing. The secret is how well you balance all of the elements of the dish! Good luck! 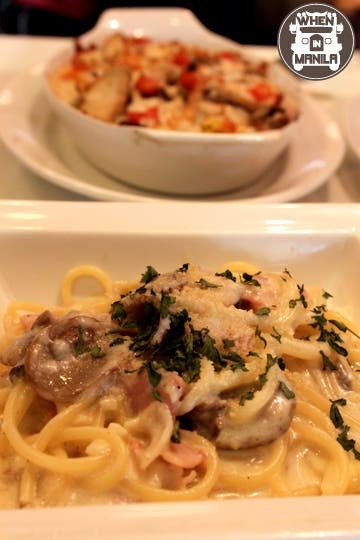 Carbonara is an Italian dish based on eggs, cheese, bacon and black pepper! There are a number of theories on how Carbonara turned up to what it looks like now. For example, it was made by woodcutters who made charcoal for fuel or it was because of the food shortages after the liberation of Rome in 1944. Some say the great amount of ground black pepper resembles coal flakes! Actually, from the name itself, alla carbonara or “coal worker’s style,” they say it was cooked over a hardwood charcoal fire and penne was used since it was easier to make with the eggs and cheese. 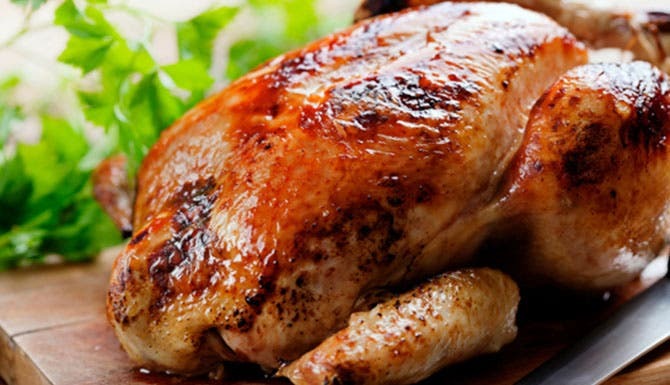 Roasted Chicken is sometimes called, “Turbo Chicken” or “Lechon Manok” depending on how it is cooked! Here’s one way to make this dish: clean the chicken and pat dry. You may also drain it. Rub the whole chicken inside and out with onions, garlic, salt, pepper, sugar, calamansi juice, and fish sauce to enrich the flavor. Marinade it for at least four hours. Next, heat oven to 200°C. Take the chicken out of the refrigerator and stuff it with bay leaves and lemongrass. Put the chicken inside the oven and roast for 1-1/2 hour, depending on the size. Add the oil to the leftover marinade sauce and baste the chicken with sauce for a couple times! Check if it’s cooked already and you’re set to go! I mean, eat! Best served with gravy or Mang Thomas sauce! 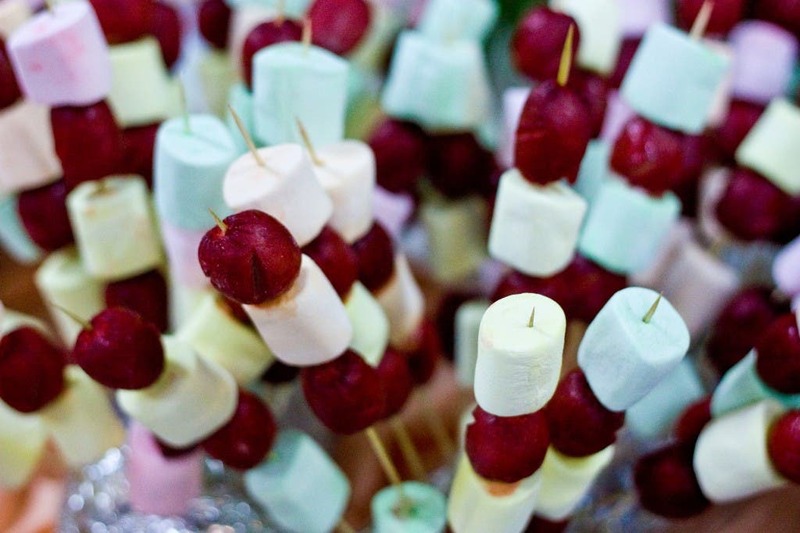 Even though hotdogs are usually considered as American food, they were first made in Germany as frankfurters! And did you know there is also a “right” and “wrong” way to prepare and eat a hotdog? They say you shouldn’t put hot dog toppings between the hotdog and bun. Always dress the hotdog, not the bread! Also, don’t use a cloth napkin to wipe your mouth when eating a hotdog because they say paper napkins are preferable. And don’t take more than five bites! So not only relationships have rules? Hotdogs too?! Wow! With pork, pork liver, potatoes, bay leaves, tomato sauce, hotdogs, familiar condiments, and other typical ingredients such as garlic, onions, lemon, soysauce, salt, and pepper, you can cook your special version of Pork Menudo! The chicken in the picture above is mastered in the Max’s restaurant’s kitchen. It is normally served with sweet potato cut as thin and long as a human finger! 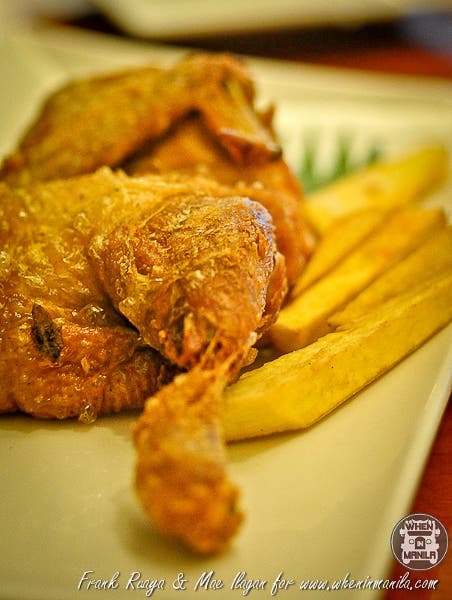 However, panlasang pinoy came up with a similar recipe of the delicious and mouthwatering chicken from Max’s! 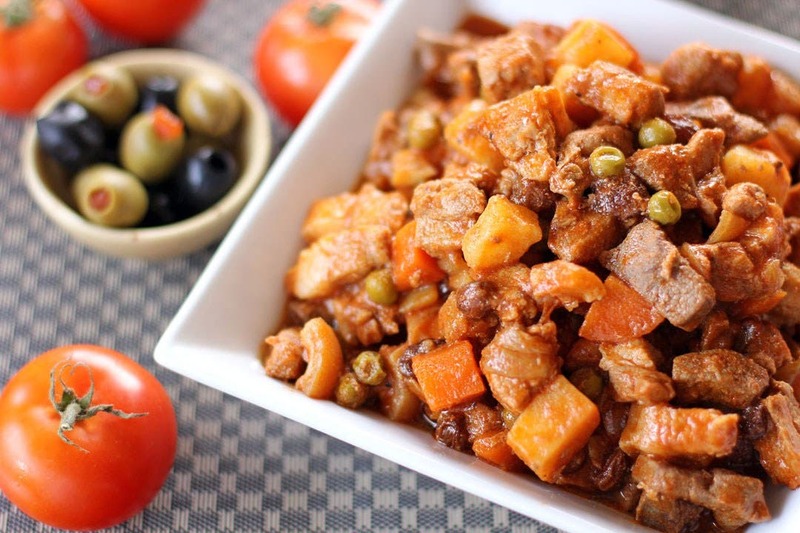 Kaldereta or Caldereta can be cooked with pork, beef, or chicken and stewed in tomatoes. However, the most exotic and conventional main character of the Kaldereta is the goat. Sisig is a Kapampangan term which means “to snack with something sour.” Through the years, it evolved to what it is today, but back in the old days, it was a salad which includes green fruits with salt, pepper, garlic, and vinegar. Then, it progressed into “Sisig Matua” or “kilawin baboy” of the Tagalogs. According to my grandparents, this dish became popular because expecting mothers believe that the pig’s cartilage in the sisig can make the fetus’ bones stronger. Is it true? Maybe so. The pig’s cartilage has lots of nutritional benefits like Calcium for the bones, Potassium for the heart, Iron for the blood, and Zinc for the immune system. Do you know that Angeles City is the “Sisig Capital of the Philippines” and we have Aling Lucing to thank for that! 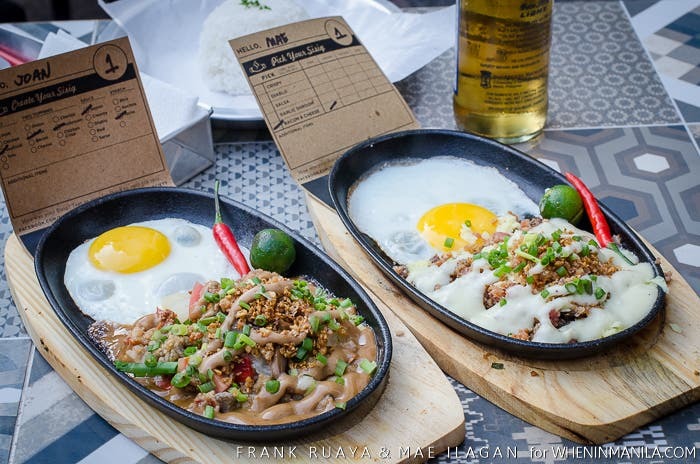 The Sisig queen reinvented sisig and contributed a lot to how it sisig is at present! Her legacy continues until now! Kristin is currently a first-year college student at Mapúa University wherein she is pursuing Computer Engineering. Aside from being one of the youngest writers here on When in Manila, she is also a recognized officer and campus journalist at Mapúa. Kristin hopes to inspire others, especially teenagers, to dream more, learn more, do more, and become more.